Small-scale sugar cane growers are feeling the pinch of sugar imports, which are threatening to suffocate the industry. “We used to get a lot of money but now we are getting nothing. We can’t even take our children to school. “Job opportunities have been lost because you can’t hire someone if you can’t pay them,” said Bongiwe Mcineka, a farmer in Glendale Valley. 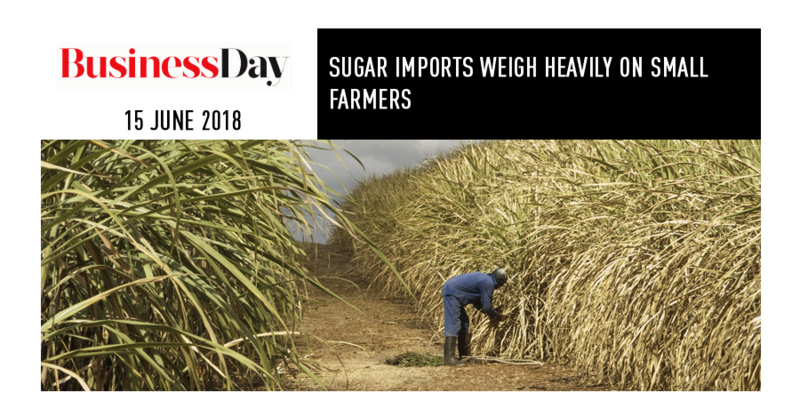 Her sentiments were echoed by another small-scale cane – grower, Celumusa Mahlobo from Emthandeni, north of Durban, who said some local companies are buying sugar from overseas because it was expensive in SA. “Us farmers can’t even have money to live. How am I going to work and how am I going to pay the people who are working for me? Because we don’t get money anymore and we’re owing the [sugar]mills,” he said. Mcineka and Mahlobo were among more than 60 black small-scale sugar cane farmers who embark ed on a 20-hour bus trip from KwaZulu-Natal to Parliament in Cape Town on Wednesday to show their support for the sugar industry’s application to stop sugar imports by increasing the tariff. 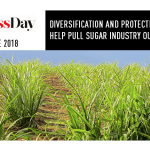 Black sugar cane farmers from the South African Farmers Development Association (Safda) are struggling to survive due to the ineffective duty imposed on imported sugar. 60 black smallscale farmers travelled from KwaZuluNatal to Parliament in Cape Town to show their support for the sugar industry’s application to stop sugar imports by increasing the tariff many of them received nothing for the 2017-18 season. Other statements showed that farmers were in the red and had been forced to start a new season with high levels of debt. Safda said in a statement on Wednesday that the challenge was that farmers required capital to replant fields, to purchase fertiliser and for general operating costs. The association said it was worth noting that small-scale sugar cane farmers had small plots of land, sometimes as little as 0.5ha, “so economies of scale are not feasible”. Sugar produced outside SA is reportedly flooding the local market. As a result black sugar cane farmers are in dire straits, as are rural communities. 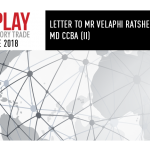 But there could be light at the end of the tunnel as members of the parliamentary portfolio committee on trade and industry, the International Trade Administration Commission of SA and the South African Revenue Service undertook to deal with the matter urgently, with a resolution expected in July.